Press Is Long Island City ready for Amazon’s HQ2? The rumor mill is churning, and it looks like at least part of Amazon’s highly anticipated second North American headquarters will end up in Long Island City. 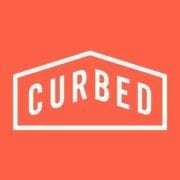 Curbed ran down the area’s benefits and attractions, including its bevy of first-class real estate and access to local and national transit hubs. In fact, new condos and prewar conversions are turning this area of Queens into the hottest residential neighborhood in New York City. Buyers or renters looking for LIC condos should call Modern Spaces, the professional real estate group that employs local realtors who use their expertise to match new residents with their perfect home.